With a physical Bitcoin ATM opening in Johannesburg, now’s the time to find out what this cryptocurrency is all about, and whether it is a good idea to invest in the volatile asset or not. The documentary Rise and Rise of Bitcoin is a great primer if you’re wondering where cryptocurrencies even came from. Bitcoin is a new way to send payments over the internet, where thousands of computers around the world work together to make transactions and track ownership of digital currencies like Bitcoin. When you send someone Bitcoin, the transaction is broadcast to the entire network to be verified. It’s then recorded in a public ledger called the blockchain. The blockchain keeps a record of every transaction that happened since the system began and is shared and maintained on the network. So everyone keeps the books and the system is completely transparent and decentralised. You’ll be surprised to see how many business in South Africa accept Bitcoin. Take a look at this business directory of companies operating in South Africa that accept cryptocurrency. You’ll find coffee companies, jewellery makers and businesses selling luxury safari getaways, among many others, on this list. Do you have to pay tax on Bitcoin? The South African Revenue Service (SARS) does not officially regulate cryptocurrencies in South Africa, but profit from cryptocurrencies are still liable for tax, and need to be declared. Bitcoin was born following the financial crisis of 2008. It was created as an alternative to the current banking system, where a central authority controls the supply of money. It is designed to let you store, send and receive payments without any banks or credit card companies. And making a payment with Bitcoin to anyone around the world is as easy as sending a text message. Buying Bitcoin in South Africa? There are quite a few exchanges in South Africa, but the biggest is Luno, which was just named the fastest growing tech start-up in London, where it now also operates. Luno currently offer two cryptocurrencies Bitcoin or Ethereum. Bitcoin is changing the way money works, just like the internet changed the way we communicate, and the cryptocurrency market has reached a critical mass now that cannot be ignored. 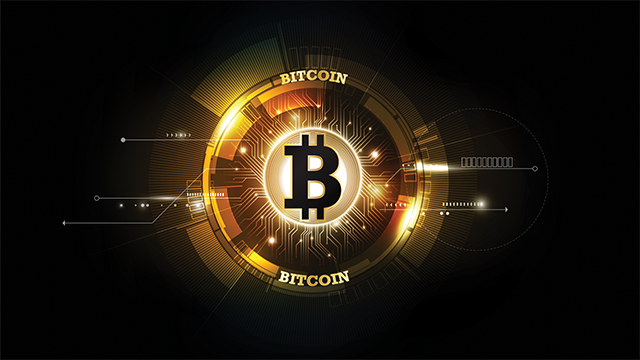 If you’d like to know more about origin of Bitcoin and the impact that the technology behind it may have on various industries, your starting point needs to be this eye-opening documentary – The Rise and Rise of Bitcoin. As the title suggests, the documentary tracks the rise of the digital currency from 2010, when Laszlo Hanyecz paid a fellow Bitcoin Talk forum user 10 000 BTC for two Papa John’s pizzas. Through the stories of entrepreneurs and start-ups and the competitive mining market, we are introduced to Bitcoin and its various faces. Rather than shy away from Bitcoin issues such as the legislation, Silk Road and Mt Gox, the documentary gives the viewers an open look, and gives voice to the anti-Bitcoin community in interviews with FinCEN and industry sceptics. It’s this open portrayal of Bitcoin as a front-line, boundary pushing community with all its innovations and its flaws exposed that makes the documentary such a compelling watch. Watch The Rise and Rise of Bitcoin on Showmax. Get a free 14 -day trial if you are a first-time user when you sign up for Showmax, and if you’re a DStv Premium subscriber, get Showmax at no extra cost. DStv Compact subscribers get Showmax for R49. This content is sponsored by Showmax and co-created with Brandstudio24 for Business Insider SA.